"Hard to add anything new that hasn’t already been written before in this book. We have had a fantastic fforest time, pure magic. Coasteering was brilliant... we loved our tipi and sitting out under the stars, watching the bats. Everyone is so lovely and made our stay even more fun. Hope to come again soon." 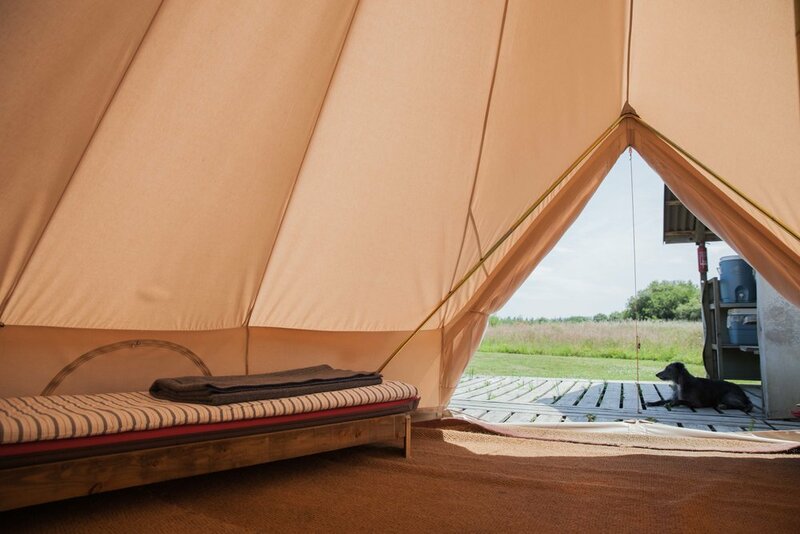 Our Bell Tents at fforest farm offer simple, canvas tent for those who want tradition and to stay true to pure. Inside are four futon camp beds & a wood-burning stove. On the deck, there is a fully equipped, covered all-weather kitchen with plenty of outdoor space to dine and relax. We provide you with everything you need to cook and eat fantastic outdoor food including catering quality two-burner gas hob and a bucket barbecue to add a little variety to your cooking options. Please bring along your own sleeping bags/duvets, pillows & towels. 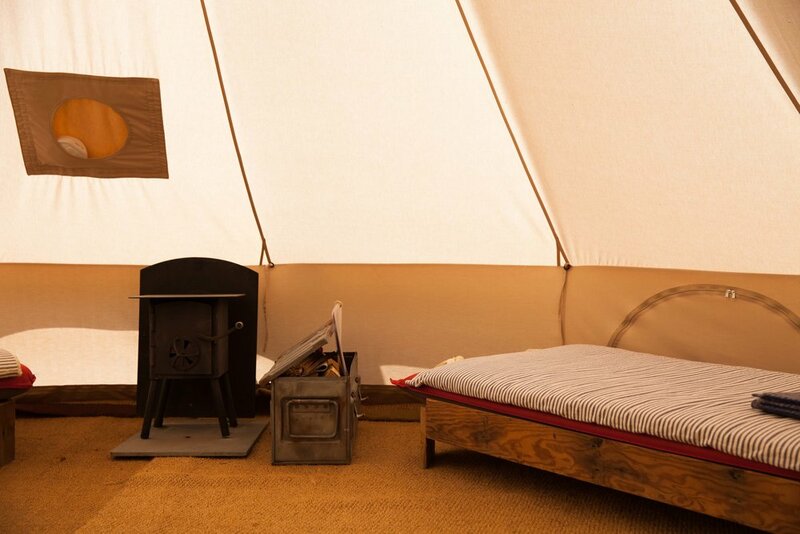 Sleeps up to 4 guests • Flowers on arrival • Private outdoor kitchen & table seating •Outdoor decked area •Futon camp beds• Kettle and other kitchen essentials • Two ring gas hob • Cool box (we provide ice packs) • Barbecue (bring your own charcoal) •Water barrel • Wood-burning Stove•Dogs welcome.